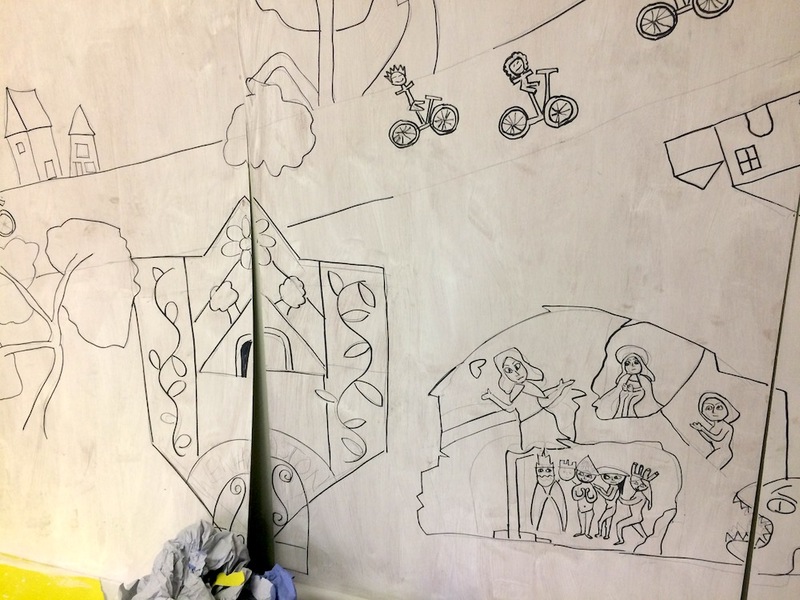 From the start, the schoolchildren have contributed to our exhibitions, providing their own artwork ‘inspired by Becker’ for display in the first two shows. 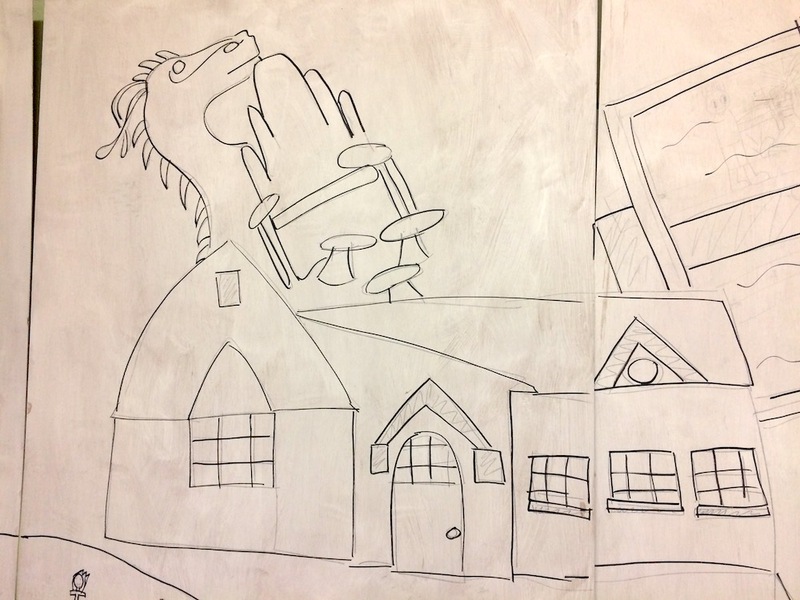 In 2016 we became more involved, providing some bespoke sketchbooks to 60 children, and working with them on a sketching activity for which the new Head brought in an exciting drawing subject: a shark! 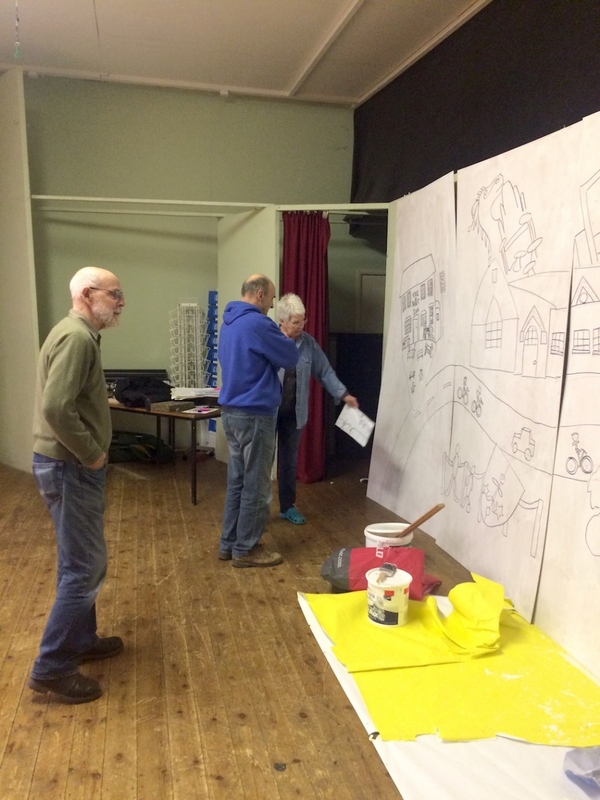 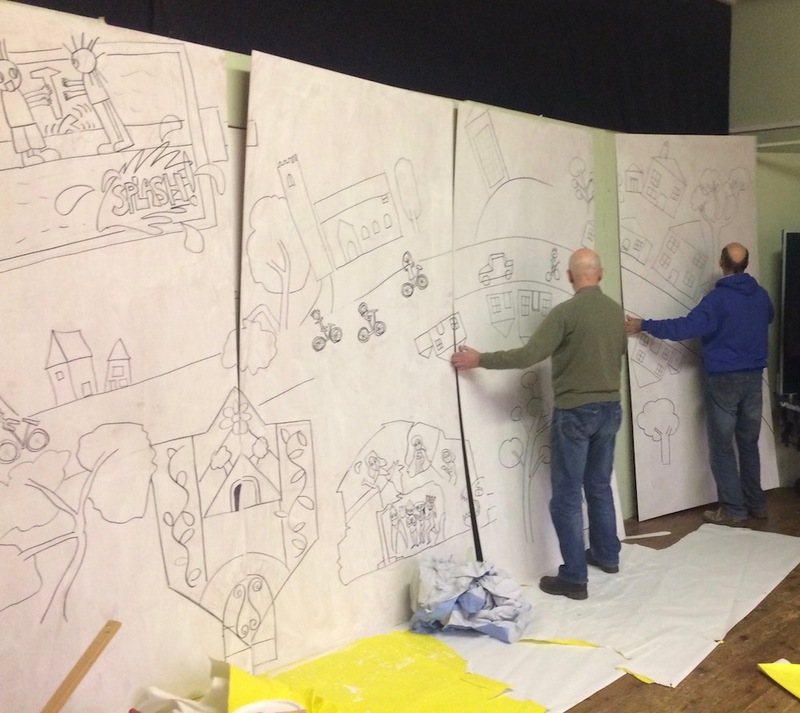 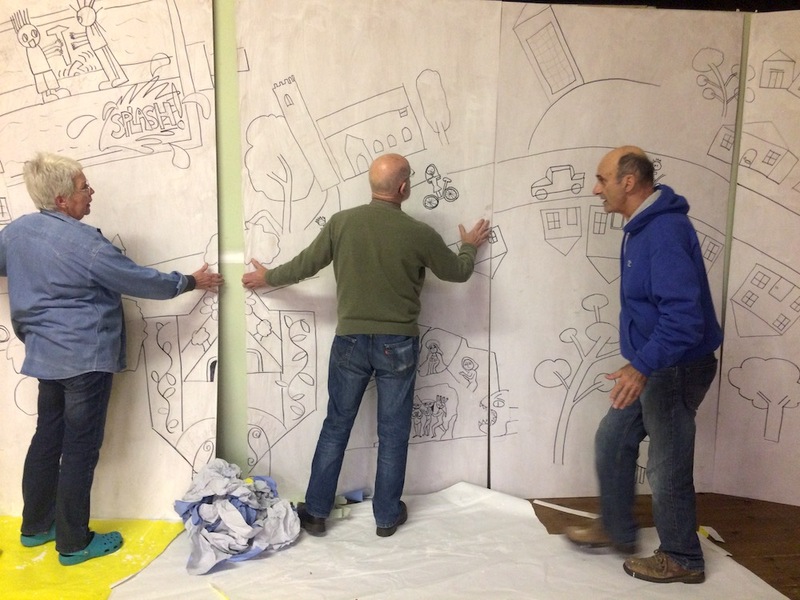 From drawings the children did of places and events in the village we selected a range that would be suitable for scaling up to create a mural on the stage of the Village Hall. 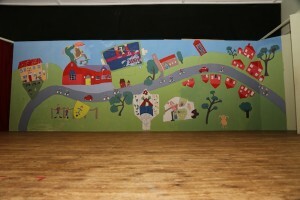 The children have worked their magic and the mural is installed on the stage for all to enjoy!